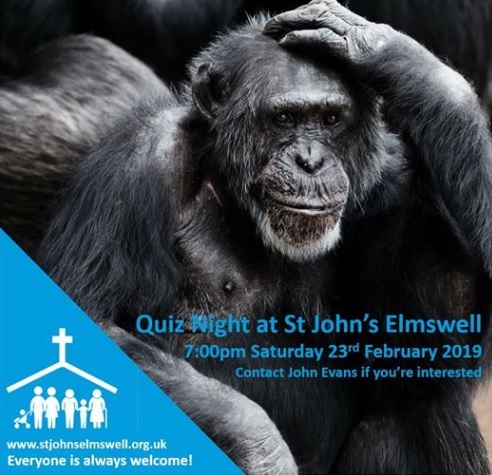 We have another amazing Quiz Night coming up on Saturday 23 February - 7.00pm to 9.30pm at St Johns. There will be teams of 6 persons - come as a team or we can place you into teams. Food (a sausage casserole) is provided, but please bring drinks. We suggest a donation of £10 per person. To book a team or an individual place please speak to John Evans (07850 590905) or Peter (01359 240512).